Portion control is key to a better bottom line, whether we're talking one's budget or body. Buying in bulk and portioning out pieces and servings saves money. Portioning out the correct serving sizes when gobbling goodies at snack time saves calories. 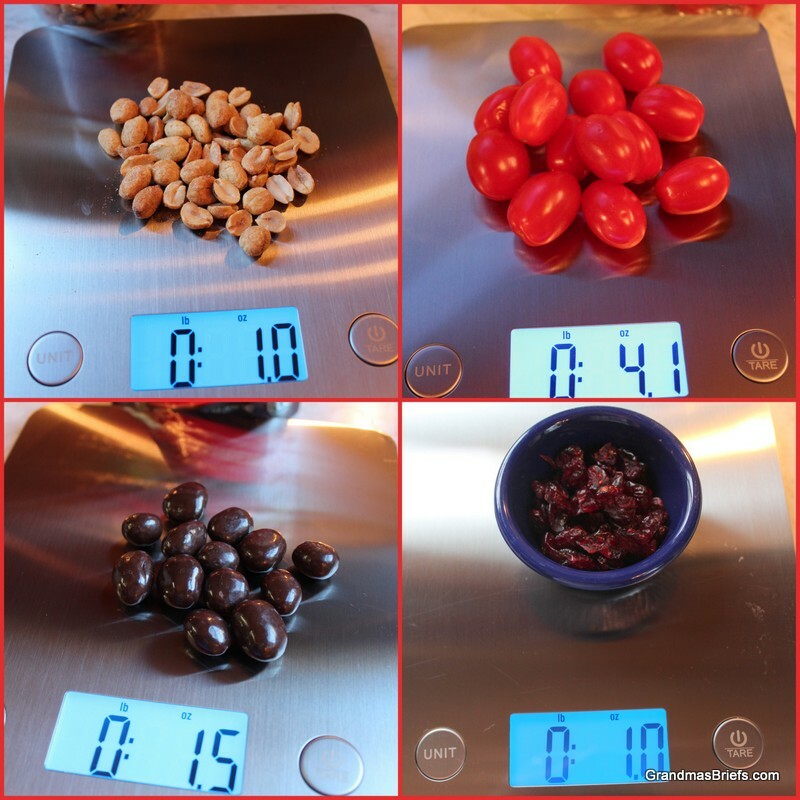 It takes a precise kitchen scale for perfect portioning, though, as eye balling just doesn't cut it. 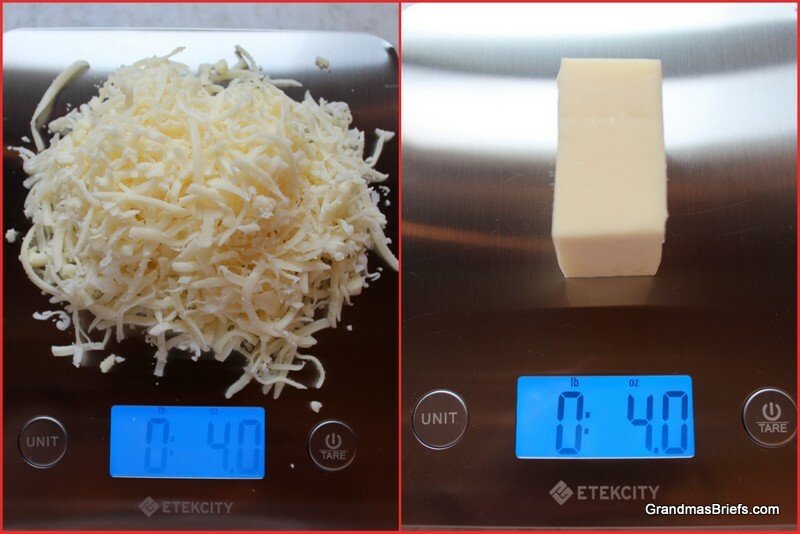 The ETEKCITY Digital Kitchen Scale — a handy dandy tool I recently received free for review — portions precisely, perfectly. Every time. The sleek Digital Kitchen Scale has an 11-pound capacity and measures ingredients by grams, milliliters, pounds and ounces. It also has a simple auto-tare function to subtract the weight of a dish to ensure the weight of the item being measured is precise. In addition to precise measuring, the smooth stainless steel platform makes it simple to clean and sanitize after measure, so foods from poultry to produce (and candy, too, of course) are safe for consumption. 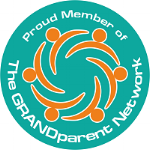 Because my husband and I are the lone residents in our empty nest, when it comes to meal prep, I often purchase ground beef, pork loin and chops, poultry and more in bulk then divide into packages perfect for two. Which would be so very simple to do accurately with the ETEKCITY scale. More helpful, though, is the ability to accurately portion out snacks and such using the scale. We all know food packages provide the recommended serving size, but how many of us actually know just what that serving size really looks like? The scale makes it simple to measure out just the right amount. The simple-as-can-be Zero/Tare function helps a lot when foods must be in a dish for measuring. 1. Place the empty dish on the scale. 2. Press the TARE button to subtract that weight. 3. Place the food to be measured in the dish to obtain the weight of just the food. 4. Do like I did and measure everything all over again just because you can. I never had a kitchen scale before so I had no idea how helpful they can be. And how simple this one from ETEKCITY makes measuring and parsing out perfect portions. The ETEKCITY Digital Kitchen Scale (model no. EK6211-S) has a list price of $69.99 but can be purchased for far less $16.99 or so! — from the ETEKCITY website or Amazon.com. I'm now off to gobble those perfectly portioned chocolate-covered cranberries pictured above. And the peanuts probably, too.